Is the wait finally over for Ulmarra? AFTER months of pressure following The Daily Examiner's Let's Not Wait campaign, Roads and Maritime Services have finally listened to the people of Ulmarra. 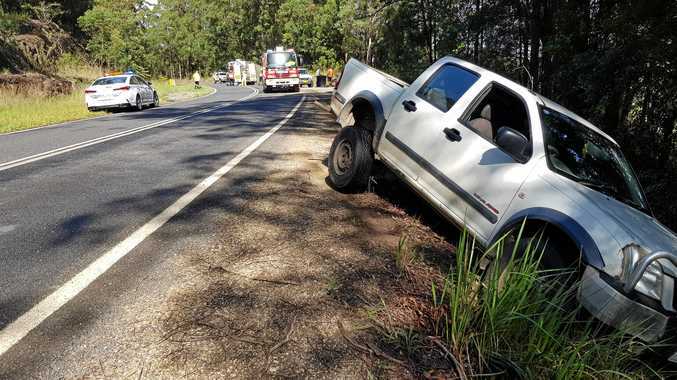 Late Friday afternoon, RMS responded to recent criticisms about failing in their duty of care to address Ulmarra's notorious black spot by announcing the installation of speed cameras and safety barriers. 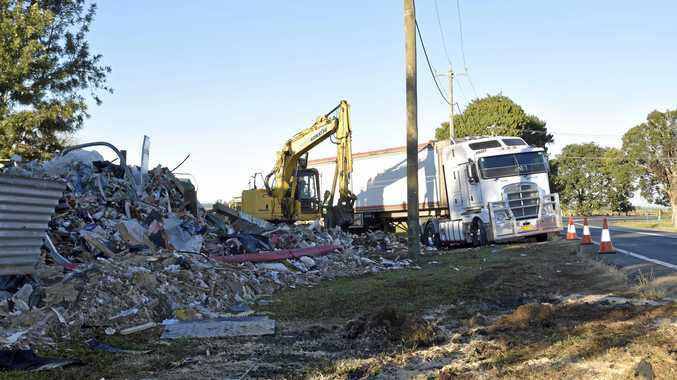 These changes come following last week's horror crash in which a B-double truck rolled, coming within metres of the Brown family home. Investigations are continuing as to what caused the collision and no charges have been laid on the truck driver. "Night-time mobile speed camera enforcement would be put in place as soon as possible to catch speeding drivers," a Roads and Maritime Services spokesman said. "These will remain in place while longer term solutions for this site are developed, such as safety barriers and a fixed speed camera." Ulmarra resident John Leask welcomed the installation of the speed cameras. "The positioning of speed cameras in Ulmarra is what we have been asking for. It has worked well in Woodburn and I believe it will here," he said. "It places Ulmarra on the list of places you must be super-careful of your speed in." Despite previous comments about their ineffectiveness, Clarence Nationals MP Chris Gulaptis has now come out in support of these latest improvements. "There is never any excuse for speeding. It puts at risk the lives of innocent people and repeat offenders in particular should be prosecuted to the full extent of the law, every time," Mr Gulaptis said following Friday's announcement. "Now, more intensive night-time enforcement will be in place immediately to catch speeding drivers with the deployment of mobile speed cameras as from tomorrow night, on rotation to catch speeding drivers." After bowing to media pressure generated by the Let's Not Wait campaign, the RMS last month extended the 50km/h signs following a "detailed review of the speed zone in response to community concerns". According to Mr Gulaptis, this review included consideration of the road environment, pedestrian activity, driver behaviour, vehicle volumes and historical crash data. However, concerns raised by residents about the effectiveness of these outcomes came to fruition just weeks after they were put into effect with this last week's crash. While the community are happy to finally get a permanent speed camera, resident John Leask said it still doesn't address ongoing issues of driver fatigue which residents say has been the cause of many collisions in the area. "The bigger picture still is the Roads and Maritime Services not looking after truck drivers by giving them adequate rest areas and safe pull-off zones," he said. "Rest areas are being closed during roadworks so, if fatigue sets in, they have nowhere to pull off safely." Mr Leask said the recent flashing signage did little to solve speeding around the southern bend. "The problem was always there was never enough room for a big truck to brake if it was still going too fast," he said. "If this sign had jarred the truck driver's concentration level on Monday night, he had nowhere near enough distance and time to avoid a crash or lack of control. "The RMS has failed the truckies as well as Ryan (Brown) and family in their duty of care."